1950’s actress turned Princess, Grace Kelly, inspired Ottiu’s designers to create the Kelly furniture collection. Renowned for her elegance and style, Grace Kelly continues to influence fashions and trends today. The mid-century modern dining chair features a curved beechwood structure hand-crafted with tapered legs lacquered in a high gloss varnish. A glamorous addition to a modern living space or luxury commercial project, the contoured backrest provides ultimate comfort. Upholstered in the finest cotton velvet, the luxurious fabric is complemented with polished brass studding and gold accents. 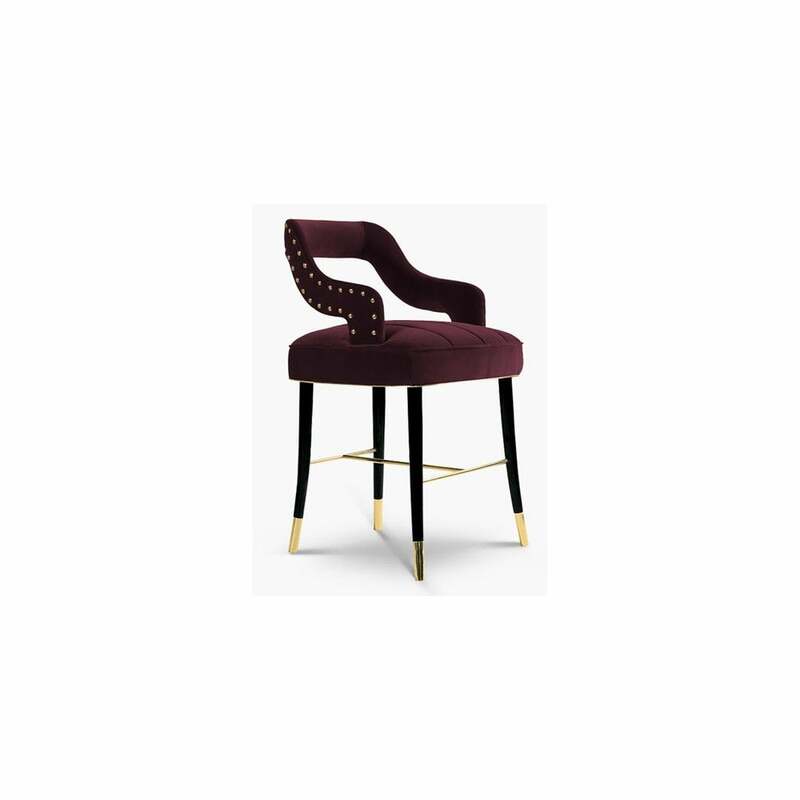 The Kelly dining chair dazzles in Bordeaux coloured velvet. Choose from a wide range of fabric options to suit your interior scheme. Get in touch with our team for more advice and information.